The state Supreme Court Wednesday refused to intervene in an ongoing rate dispute between the San Diego County Water Authority and Metropolitan Water District, leaving in place an appellate decision that gives both sides a partial victory. The Water Authority has sued the MWD, the primary water wholesaler in California, multiple times over costs, which are ultimately absorbed by San Diego County consumers. The California Supreme Court’s decision not to review an appellate court ruling was in one of three lawsuits. 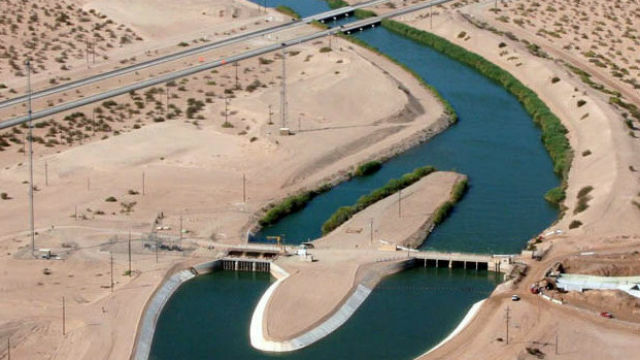 The dispute arose after the Water Authority began importing water from the Colorado River as part of a strategy to diversify its supply. The river water has to use MWD pipelines to reach San Diego. The Water Authority contends the MWD has been charging not just for transporting the water, but for unrelated costs of the state water project. A Superior Court judge ruled the extra charge was illegal, but that decision was overturned by state appellate justices. “While we hoped that the state Supreme Court would strike down all of MWD’s monopolistic rates, our lawsuits have produced noteworthy victories for San Diego County residents — rights to significantly more MWD water, a determination that MWD breached its contract with the Water Authority and a ruling that MWD illegally collected tens of millions of dollars in overcharges from our region,” said Mark Muir, chairman of the Water Authority’s Board of Directors. “In addition, MWD will be prevented from collecting an estimated $1.1 billion in illegal charges over several decades,” Muir said. Those costs would have been paid through 2047. The appellate justices found that the MWD’s practice of including costs stemming from its entire system were reasonable and legal, he said. The case now heads back to Superior Court for disposition. Two other Water Authority lawsuits against MWD have been awaiting rulings in this case before proceeding. Those cases are now expected to move forward.